Now here's a knife with some mighty impressive roots. It was brought to market back in 1980 by none other than the man whose last name goes on each of our products. Pete Gerber was the first knife creator to envision the merits of using all-synthetic materials in the handle. Now here&apos;s a knife with some mighty impressive roots. It was brought to market back in 1980 by none other than the man whose last name goes on each of our products. Pete Gerber was the first knife creator to envision the merits of using all-synthetic materials in the handle. He and knife designer Blackie Collins aimed to deliver lightweight performance that had not been seen before in a knife this all-out rugged. But lets get back to the topic of lightweight performance. The heaviest of the four legendary L.S.T. models musters a mere 1.2 ounces on the scales. Yet, when you feel that easy grip, there&apos;s no question that Pete Gerber&apos;s big idea is one for the ages. 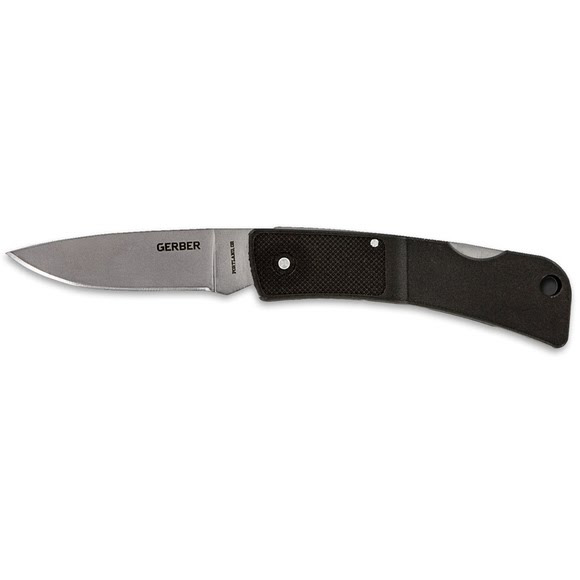 Overall Length 6.1", Closed: 3.61"